Today is the big reveal day for Freaky Friday Recipe Swap! A group of fabulous bloggers, 19 of us, were assigned a blog to cook/bake from. Tons of delicious recipes were tested and are now being shared! It's been top secret, and today we all share! Fun, right? I was assigned to a blog that was new to me, so it was really fun getting to know Angela at LeMoine Family Kitchen. Angela has so many amazing recipes, and she likes a lot of the same types of food that I do, so it was really hard narrowing down what to make for Freaky Friday! I finally narrowed it down to two, and made them both. Sweet & Savory Pork Breakfast Bites, and Southern Hoe Cakes. Wow... what a delicious breakfast we had! I had been reading in several places lately about Hoe Cakes, so curiosity finally got me. They are kind of like a cross between corn bread and a pancake. Definitely a dish that will be on our table again. Then the Breakfast Bites... Oh my gosh. I haven't run into a recipe like this before, and it is going to be in the menu often. These bites are perfect for making ahead of time and reheating. I don't know about your house, but we need more options like that the way our mornings are! From the spice blend, to the honey sweetness, topped off by the apples mixed in. It really is the best breakfast meat, aside from my love of bacon, of course. What will I be trying next from LeMoine Family Kitchen? No Bake Peanut Butter Pie, of course! Be sure to scroll down to the links below so you can see what everyone else made! I wonder who made one of my recipes! Preheat oven to 385 degrees. Line baking sheet with parchment paper. In small skillet, add apples and water. Cook over medium heat until just softened. Add spices and honey. Saute for 2-3 minutes. Remove apples from heat and cool completely. Once apples are cool, add to pork and mix until thoroughly combined. Using cookie dough scoop, scoop mixture onto prepared pan, and flatten slightly. Bake for 12-15 minutes, until golden and cooked through. I am so glad you enjoyed the hoe cakes and pork & apple bites!! 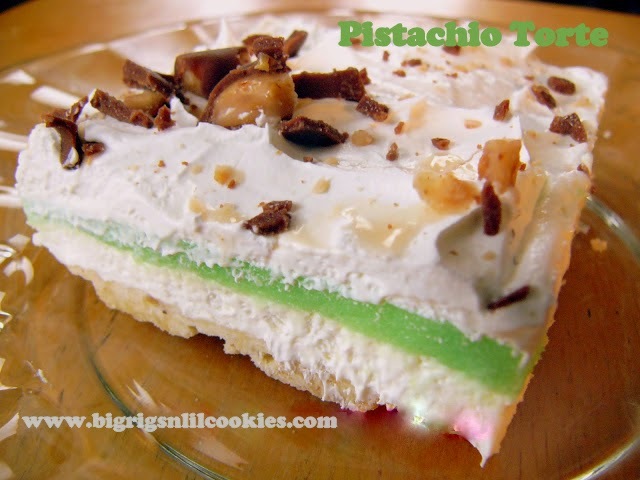 They are both really easy recipes but so delicious!!! What a fabulous and extra tasty idea for breakfast...YUM! Happy weekend, my friend. Hugs! 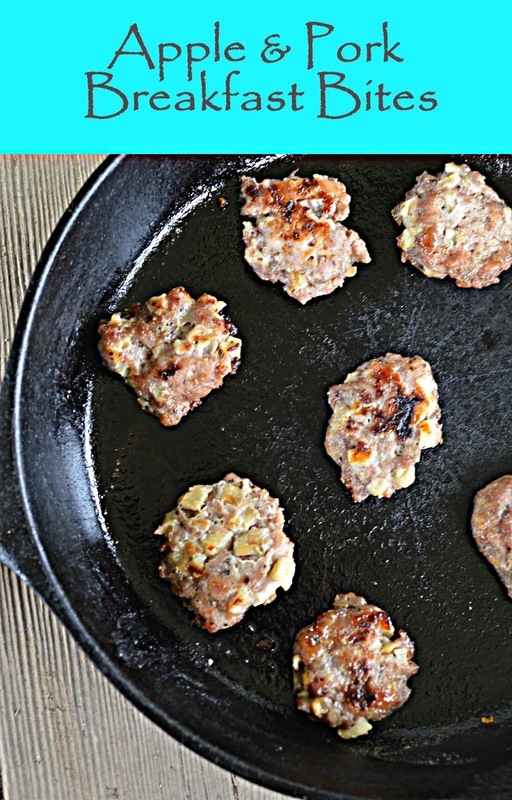 Bacon/sausage are delicious but get boring for breakfast - love this recipe as a change up. Plus, love the apple and pork combination! I'd happily eat this for breakfast! Just add a cup of coffed and I'll be a happy gal! We always need easy in the morning...we love things we can reheat and grab and go! This will be perfect! I love Angela's blog, but somehow I missed these! These sound delish for breakfast this weekend! I love Angela's Blog. My hubby would love these! I love the combo with Apple! Nice work, my dear! Have a great weekend :)! These would be great for a picnic too. They look very delicious. What a great idea! 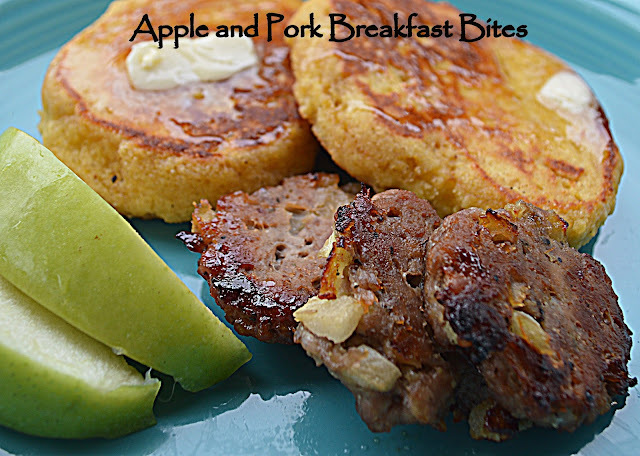 Pork and apple go so well together, and I would have never dreamed of putting together for breakfast patties! Love it! So going to try this! Great pick! Yummy! My son Atticus will love these! He loves pork sausage and apples. :-) Perfect! These sound so simple and delicious—great combo of flavors! 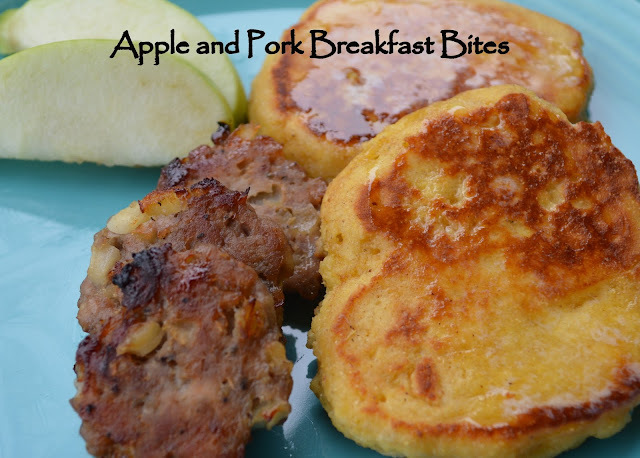 Pork and apple bites take breakfast to a whole tasty level! What a great combination! I love fresh sausage. I bet adding the apple makes them even better! There is nothing better than apples and sausage for breakfast! My husband just looked over my shoulder as I was reading your post and asked me when I'm going to make these! They look delicious! These look great! And the recipe looks very do-able! Thanks! There is a "Print Friendly" button at the bottom of the post.